Biotron.io Review - Can This ICO Take Over the Existing Data Broker Industry? 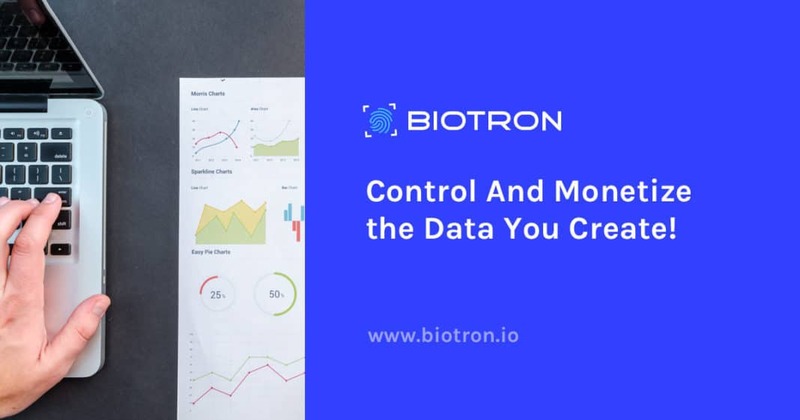 Biotron.io Review – Can This ICO Take Over the Existing Data Broker Industry? In a rush? Check out the numbers and quick facts in 30 seconds. ICO: Private token sale ongoing. Public event scheduled to start on March 20th, 2018 (to last nine days). There will be no soft cap, and as for hard cap, during the ITE, 350 000 000 BTN will be distributed. The lowest value is 0.10€, and the highest value is 0.18€. Token: BTN, an ERC-20 token initially, with a possible swap to a proprietary token or a different blockchain later. In a nutshell: A fully transparent personal data analytics platform. Andy Warhol was not necessarily talking about TV reality shows. His prophecy eclipsed his fame and now this casual catchphrase is used in laughter as well as consolation. It’s a cultural observation that stretches beyond show business and towards the digital world. However, with the Internet and free social media platforms, we are now barely anonymous for 15 seconds. The fact is when something is offered for free in the online word – the chances are, we are the product. That’s how companies like Facebook are making huge money. In fact, Reuters reports that Germany’s cartel office has found Facebook to abuse its dominant market position by monetizing our personal data through targeted advertising. But this is the era of decentralization and Blockchain, and Biotron.io promises a fairer deal for persons and business alike, by turning their “digital footprints” into something of value. Let’s dive deeper. Biotron.io brings about the transparency and inclusivity of Blockchain technology to everyone’s doorstep. It harnesses personal data into analytics (or KPI) that can lead people and organizations to make better choices. Anytime personal data is at stake, issues arise concerning transparency and ethics. We have all been there, trying to find some cheap flights using a comparison website or a romantic uptown spot for a first date, only to be harassed with ads- mostly irrelevant and merely annoying. Whether from a data provider or a data consumer perspective, there is a great deal of inaccuracy, not to mention a lack of consent and appropriate reward. It’s a complex ecosystem that Biotron.io is tackling here, and it’s doing a great job of improving the process. Whether you are a data provider or consumer, here’s how Biotron intends to bridge both ends of the spectrum. Many distributed ledgers or blockchains come to mind as a possible platform for Biotron.io’s deployment, but they are not without their flaws. In fact, the widely used Ethereum Blockchain might not be suitable given the apparent scaling issues they are currently dealing with. Other options like Multichain, Waves, and Ark don’t offer the smart-contracting capability needed to distribute revenues among users. Simply put, say a new user decides to join Biotron.io’s community. The first thing would be to install the app and web extension then to connect all data generating devices (for instance, his smartphone, fitness tracker, car and any IoT devices). The list is not exhaustive and only provides an idea of how such data can be turned into smarter decisions, not to mention the revenues embedded in the process. The Whitepaper V0.1 was released in January 2018. It stands heads and shoulders above most pre-ICO documents out there, comprising 35 pages of Market Analysis, Value Proposition, Business Model and Go-To-Market Strategy. While some repetition occurs here and there for those who are interested in reading it entirely, personally, it helped me learn more about the data broker business and come to the conclusion that it’s a field in which blockchain can significantly disrupt. The private token sale event has already started and a public event will be held on March 2018, (from March 20th, 2018 15:00 UTC to March 29th, 2018 15:00 UTC). 350 Million BTN tokens will be offered at an initial unit price of €0.10, rising to €0.18 during the sale. The tokens are ERC-20 enabled by the Ethereum Blockchain. BTC, ETH, LTC, EOS, OMG, BAT and SPHTX will be accepted from investors during the token sale. The 10% of tokens which are locked for transaction validation will either be used to build proprietary ledger or cover the cost of transaction fees on the Ethereum blockchain. It’s worth adding that 5% of tokens will be held in reserve for two years for the Biotron Foundation. The team appears to be knowledgeable and unites proven track record to promising junior skills. 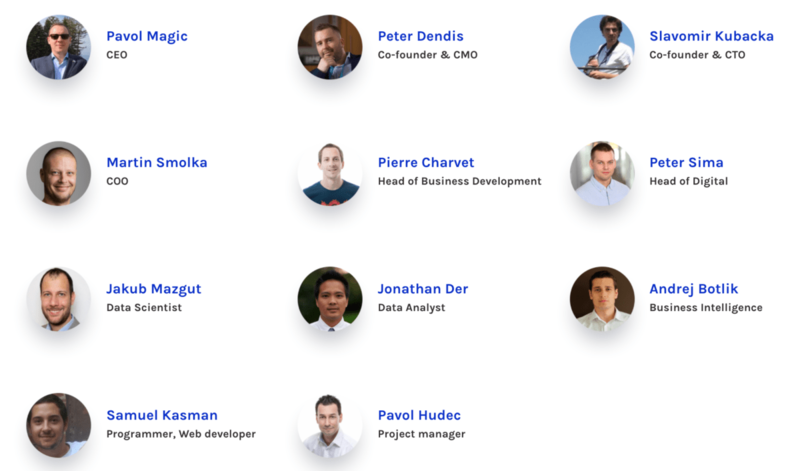 Key members are CEO and Co-founder Pavol Magic coming from the data analytics field, notably within Sygic for 6+ years. There is then Co-founder and CMO Peter Dendis, bringing his over ten years of entrepreneurship and digital marketing know-how. He is the founder of Tarantula and served as Head of Marketing for DECENT (a blockchain startup). He is also familiar with ICO ecosystems, having led Sophia TX’s team to raise $23 million in Dec 2017. Other C-level members are Slavomir Kubacka, Co-founder, and CTO, coming from a software dev background with previous stops at Hyperledger and Accenture. The COO is Martin Smolka, a professional digital & SW product developer with previous stops aT Avast, AVG, General Motors and DECENT. 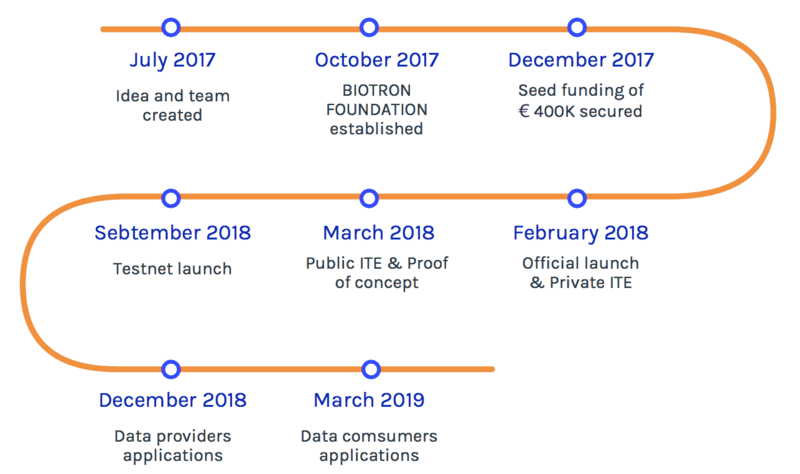 The idea behind the project dates back to 2017, with the Biotron Foundation established in Q4 2017. In December 2017, seed funding injected a considerable amount of financing for the startup. This is a rare occurrence in the Blockchain world and one that is usually seen in a positive light by ICO investors. It speaks louder than promises and good intentions. I am personally impressed by the overall quality of the project. Undeniably, the team has a lot on their plate, and this is not a micro-niche looking for scalability. It’s a potential disrupting player in the personal data scene, one to give big corporations a run for their money. This is what crowdfunding is all about. It’s democratizing innovation and dissolving many barriers ahead of tech startups. Not that every ICO will give birth to the next Google, but Biotron.io seems ready for its Baptême-de-Feu. And hopefully, the best is yet to come. The private token sales event is in progress and directed to big investors with more 500 ETH to bring to the pool. Public token sales will kick-off on March 20th, 2018.